The room where TR took the oath. No photographs exist of that moment because the room was so packed that someone backed into the photographer and the camera fell over—then all cameramen were told to leave the room. Throughout American history, there have been only four instances when someone has taken the Presidential Oath of Office outside of the nation’s capital; Buffalo is home to one of them. 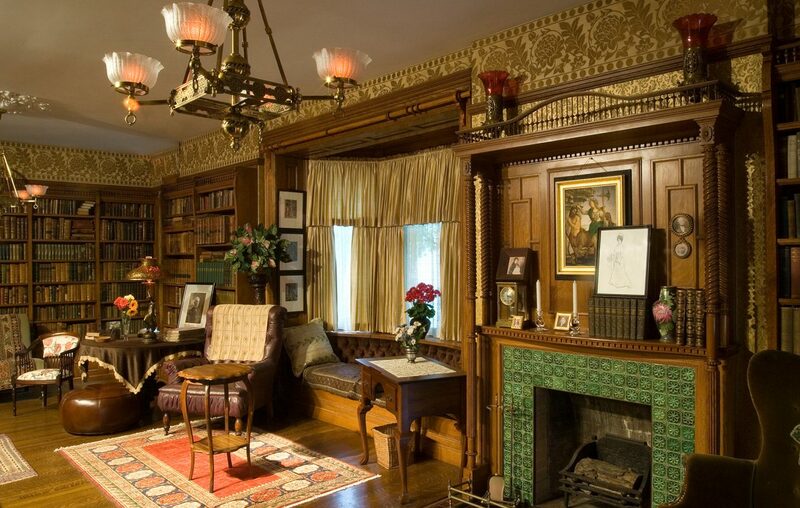 On September 14, 1901, Theodore Roosevelt took the Oath of Office in the library room of his friend Ansley Wilcox’s house on Delaware Avenue (the present-day Theodore Roosevelt Inaugural Site) after William McKinley was shot at the Pan-Am Exposition in Buffalo, dying eight days later. “You’ve got an event that took place 117 years ago and it lasted less than 10 minutes. So what’s the story that you tell? We choose to tell the story of Roosevelt, his presidency and his lasting legacy,” said Stanton Hudson, executive director of the Theodore Roosevelt Inaugural Site. The TR site accomplishes this by not only taking visitors back to—yes—the room where it happened, but also into the mind of an accidental president. “We focus a lot on what must have been going through Roosevelt’s head when he was riding a carriage to Buffalo. There were five issues that were consequential to his presidency that this country still grapples with: immigration and urban poverty, race and social inequities, environmental conservation, big business and labor and the U.S. role in global affairs,” added Hudson. The guided tour, complete with historically accurate furnishings and interactive exhibits, provides a platform to discuss these five issues, and how they affect us as Buffalonians and U.S. citizens. “Roosevelt wanted citizens to be good citizens, which is to say informed citizens. This is as timely now as it was in 1901,” noted Hudson. If you’d like to honor Roosevelt’s legacy this President’s Day, all visitors to the Theodore Roosevelt Inauguration Site can enjoy half-price admission on Monday, Feb. 18. The Site also offers unique events throughout the year including Coloring Nite, TRivia Nite, Vintage Game Nite and Teddy Bear Story Hour.